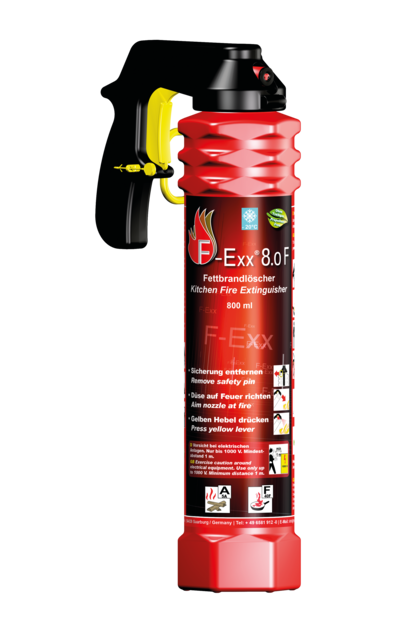 The F-Exx 8.o F is a professional liquid extinguishing agent based on organic salts, especially for putting out large grease fires up to 40 litres. 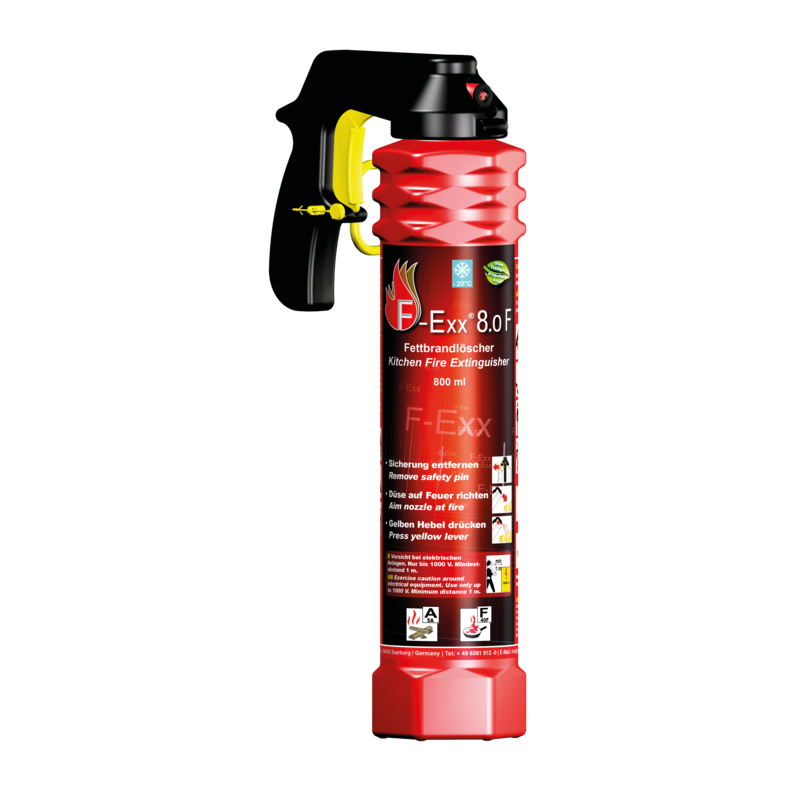 The product can be used at temperatures ranging from -20 °C up to 70 °C.This big grease fire extinguisher with a net content of 800 ml offers an almost constant spray characteristic during the entire extinguishing time. With its light and intuitive handling, the ergonomic handle design the F-Exx 8.o F is ideally suitable for first time users. 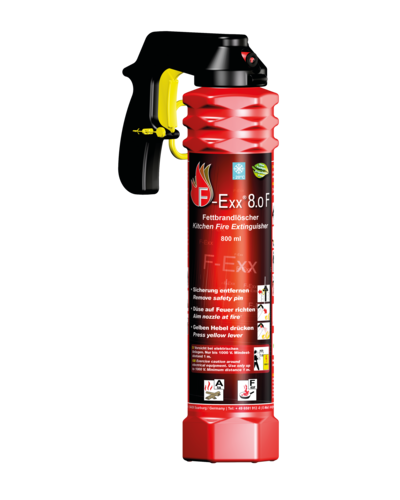 The ingredients of the grease fire extinguisher are biodegradable and can be mopped up with water after dispensing. The bottle can be easily disposed of in the household waste. The extinguishing system has a maintenance-free shelf life of five years.